President Trump announced more than three dozen appointments Friday night for key administration positions. The president intends to nominate Richard Grenell to serve as the next U.S. ambassador to Germany. 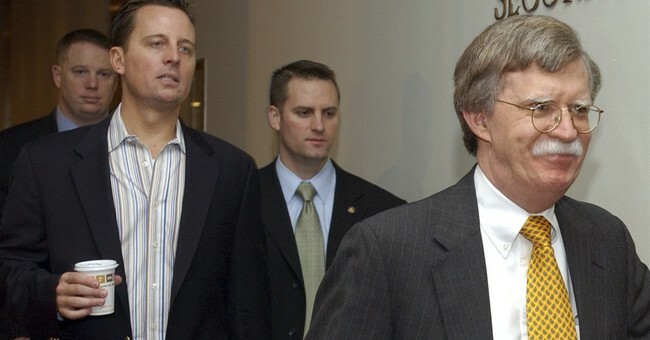 Grenell served in former President George W. Bush’s administration as a spokesman for the U.S. mission to the United Nations. Rep. Tom Marino was also chosen to lead the Office of National Drug Control Policy. Marino, a former county prosecutor, worked to help expand access to treatment for people with opioid addiction. Marino’s nomination will lead to a special election in Pennsylvania. The president also tapped Oklahoma Rep. Jim Bridenstine to head NASA, which is already causing controversy on both sides of the political aisle. Republican Sen. Marco Rubio and Democratic Sen. Bill Nelson, both of Florida, say a politician should not have the lead role in the country’s space program. His nomination will also lead to a special election in Oklahoma. Additionally, the president nominated Robert Jackson, a Columbia University law professor, for a vacant seat on the U.S. Securities and Exchange Commission. Nina Maria Fite to be U.S. Ambassador to Angola. Daniel Lewis Foote to be U.S. Ambassador to Zambia. W. Robert Kohorst to be U.S. Ambassador to Croatia. David Dale Reimer to be U.S. Ambassador to Mauritius and the Seychelles. David Ross to be Assistant Administrator of the Environmental Protection Agency, Office of Water.